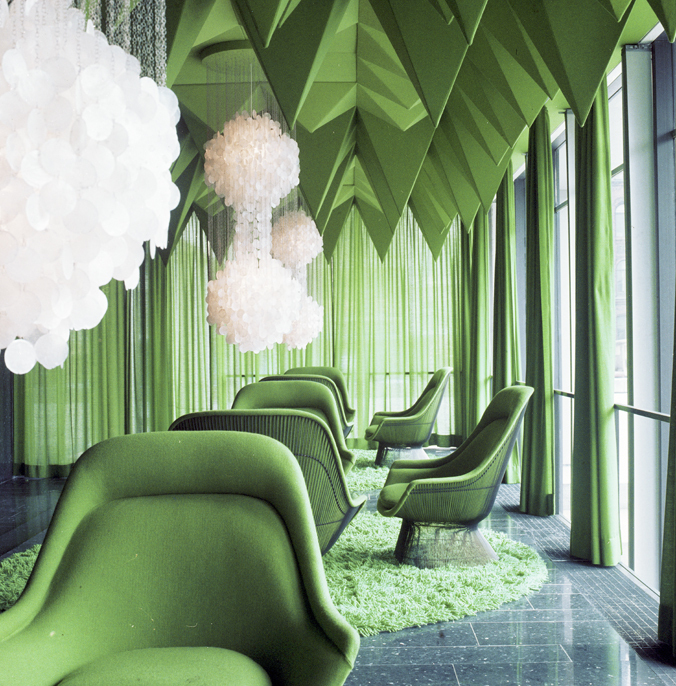 Verner Panton is a color icon. Born in Denmark, he relocated to Switzerland in the early 1960's and became known as one of the most influential furniture and interior designers of that period and in fact most of the 20th century. 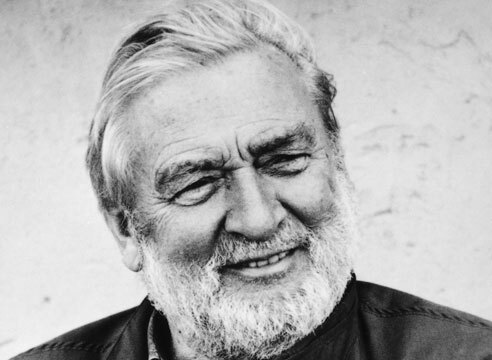 Famous for his innovations in furniture, lighting and textiles, some color and design lovers may be unfamiliar with his name but will recognize the famed Panton Chair. 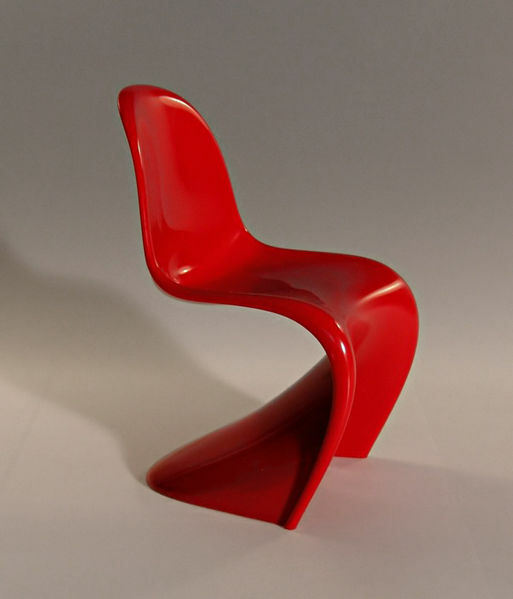 The sweeping curve of the chair demonstrated groundbreaking plastic fabrication. 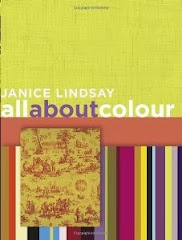 His use of vibrant color helped define the look of the sixties. 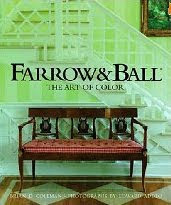 The chair is still appreciated by vintage lovers from the eighties to today. In fact this classic design has proven so popular it was featured on the cover of Vogue in 1995 and is still in production to this day by the Swiss furniture company Vitra. His legacy does not rest on the back of this single chair. Panton created experimental design environments to test out new ideas to observe how humans actually use space. These environments always employed adventurous use of texture and a skillful use of color. 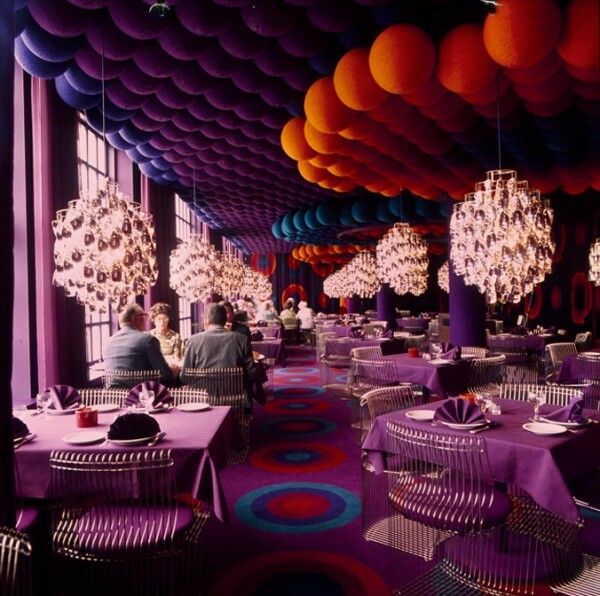 Panton was interested in making a maximalist world with a focus on a sensory feast that could not be taken in all at once. 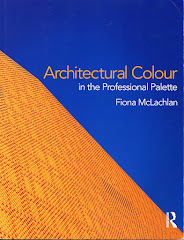 For Panton the built environment should have the visual complexity of any natural setting. Below is the legendary 'Visiona'. Originally an exhibition in Cologne, the design was later reenvisioned as a cruise ship, the interior of which was designed entirely by Panton and launched in the early 1970's. 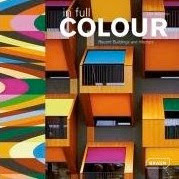 What looks to today's eyes looks like sixties psychedelics, at the time explored the revolutionary idea about ways to manipulate the organization of space with color and form. 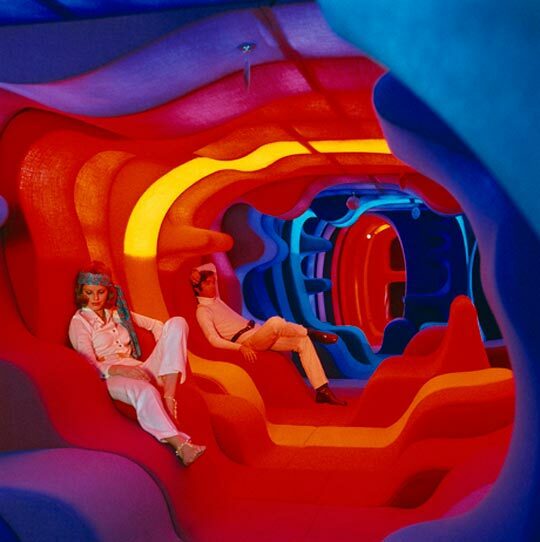 Looking beyond the cultural bias of seeing the sixties as a drug fueled parade of psychedelic love children, we can reflect upon Panton's arguments for the use of the vertical space, color as visual meal, and reworking the culturally accepted positions for bodies in public space. Visiona was not just a playground for free spirits it was an experiment in how changing spaces changes how we use them. His idea for multishaped surfaces allowing the user to position themselves for individual comfort didn't catch on. However it did spark a revolution in thinking about comfort and ergonomics in not just chairs, but in entire environments. Spaces were not constrained by the formal precision of striaght walls and clear delineation between rooms. 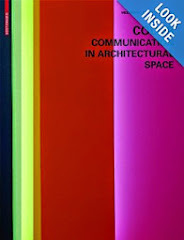 Panton used color gradations and lighting to engage the user. Here cool blues became warm reds and then changed to oranges. Feeling a chill and need a bit of heat and conversation? 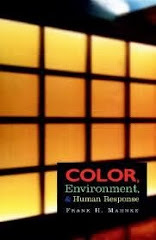 Warm colors draw you and activate interaction. Need a moment alone, breathing deep, eyes closed? A blue corner might be just the thing. 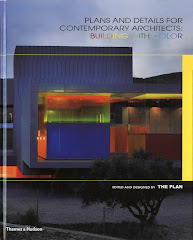 Panton wasn't just instructed in the splashy party boat vibe. The toned down, off the catwalk, version of these wave formations is seen here at Panton's home with his wife and daughter. The structure takes the lounging intimacy of the couch and turns it inward. 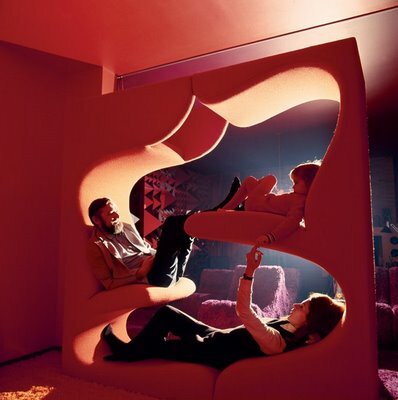 Instead of the users all facing the same way focusing outward and generally toward a television, Panton's 'couch' brings the families attention to each other, allowing them to relax and lounge comfortably. This family nest, encourages repose and connection in what felt, and still feels like a fast paced frazzling world.